This frame is in the same version, only the rear frame of a DEDACCIAI DRIVE BOX Monocoque full carbon rear grounds with a wishbone seatstays. This is the most beautiful in appearance, stiffest and lightest frame. 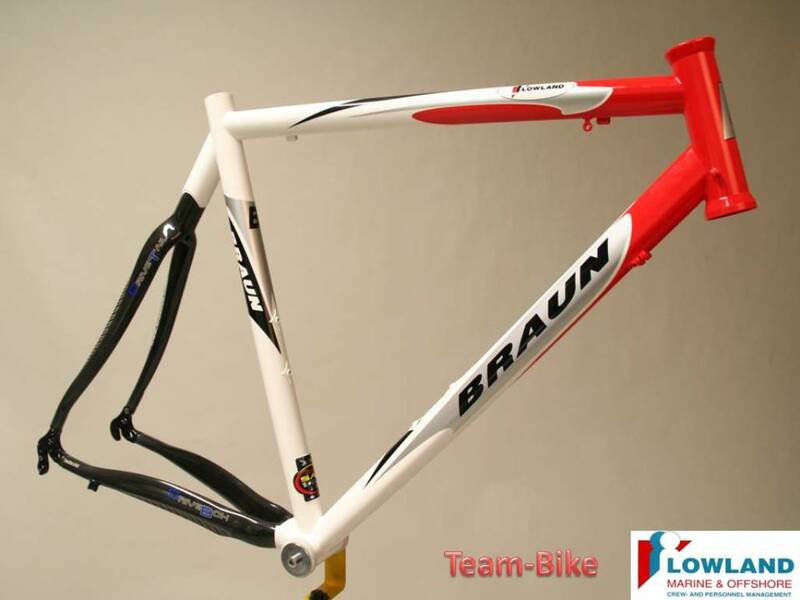 The rear frame is manually fit, and precisely fitted using a special dedicated frame mold. Thus, traditional craftsmanship and modern design combined. The dropouts are of high quality treated 7005 aluminum. For an even stronger and stiffer whole (the low weight is less than 390 grams), we use only high-grade carbon chainstays and standing in our frames. Both the BALANCE as the DIMENSION version with the same fork available, with low weight and not too stiff for a perfect quality control and handling. DEDACCAI BLACK FIN 390 GRAM Type: Monocoque Material: Carbon fiber high module T700S FULL CARBON HANDLEBAR TUBE WITH 1 '/ 18 DIAMETER by the side of crown diameter, and 45 mm. is the stiffness very balanced .